On December 26, 2017 at approximately 1:00AM, Officer Winslow of the Lebanon Police Department observed man walking away from a car that appeared to have just crashed into a snow bank on Plainfield Road. 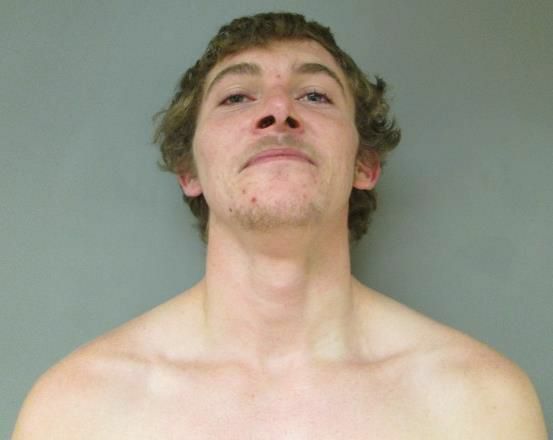 The male subject was later identified as Brodie Jarrett, age 22, of White River JCT, Vermont. As Officer Winslow attempted to detain Jarrett to investigate the accident, Jarrett assaulted Officer Winslow and attempted to flee. Officer Winslow caught up to Jarrett where a struggle ensued and other officers arrived on scene to assist. Officers deployed a Taser in an attempt to subdue Jarrett but it was ineffective and he continued to resist and assault the officers while fleeing on foot again. Officers gave chase and caught Jarrett down the road where they were able to take him into custody. Jarrett will be charged with Class A Misdemeanor counts of Aggravated Driving While Intoxicated, Conduct After an Accident, Resisting Arrest or Detention and Simple Assault on a Police Officer. The enhanced DWI charge is the result of Jarrett’s BAC being more than twice the legal limit. Jarrett refused the services of a Bail Commissioner and was held at the Grafton County House of Corrections pending an arraignment in the Lebanon District Division, New Hampshire Second Circuit Court on December 26, 2017. Attorney General Gordon J. MacDonald and New Hampshire State Police Colonel Christopher J. Wagner announce the names of the law enforcement officers involved in the shooting incident on December 23, 2017 in Canaan, New Hampshire that resulted in the death of Jesse J. Champney (age 26) of Enfield, New Hampshire. The officer who discharged his firearm was Trooper Christopher O’Toole. He is assigned to the Troop F New Hampshire State Police barracks. The other law enforcement officer who was present during the incident was Canaan Police Officer Samuel Provenza. Officer Provenza did not discharge his firearm during the incident. The exact circumstances surrounding this incident remain actively under investigation. It is anticipated that a preliminary report regarding whether Trooper O’Toole’s use of deadly force was justified will be released once the investigation is completed. 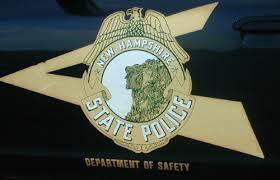 Pursuant to New Hampshire State Police protocol, Trooper O’Toole remains on paid administrative leave. December 26, 2017, Lebanon, NH: Over the last 2 weeks the Lebanon Fire Department has responded to several calls involving underground propane tanks being struck by snow plows. In each of these incidents the tank valving was damaged causing a dangerous release of flammable gas. The Fire Department would like to remind property owners to clearly mark the location of your propane storage tanks and for snow removal companies to use extreme caution when plowing around propane tanks. Fire Hydrants – Also, as snow begins to pile up we encourage property owners to clear snow at least 3 feet in all directions around fire hydrants near their property to ensure they are readily accessible in an emergency. Heating Equipment and Chimney’s – with the temperatures slated to be very cold over the next week, we would like to remind property owners to keep heating equipment vents clear of snow, chimneys clean, and all combustible materials at least 3 feet away from all heating equipment. Smoke and Carbon Monoxide Detectors – please make sure that all your smoke and carbon monoxide detectors have are working and have fresh batteries. Detectors should at a minimum be located on each level of your residence and detectors 10-years or older should be replaced. 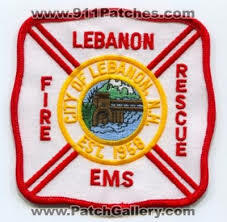 Please contact the Lebanon Fire Department should you have any questions at (603) 448-8810. Three individuals wanted in an ongoing criminal investigation lead police on a 15-mile chase at times going 130 mph. Vermont State Police said Brattleboro Police spotted Jacob McAllister, Zachariah McAllister and Chelsea Ovaitte in a vehicle and they fled after an attempted traffic stop. The trio also failed to stop for VSP when they attempted to stop the vehicle on Route 5 in Dummerston before the vehicle fled into Walpole, NH where Walpole PD continued the pursuit. The pursuit ending after the chase vehicle crashed into several parked cars and a residence on Main and Kileen Street in North Walpole NH. The occupants of the vehicle fled on foot. Chelsea Ovaitte was apprehended in North Walpole a short time later after she was found hiding underneath a truck at a nearby residence. The operator, Jacob McAllister has not been located at this time. 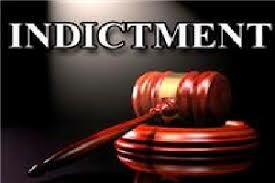 VT State Police and Walpole, NH PD has applied for arrest warrants for numerous offenses. Zachariah and Jacob were seen prior to the incident at the Motel 6 on Putney Road in Brattleboro, VT. 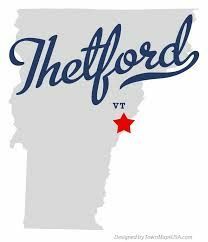 Both men frequent Westminster, Brattleboro, Bellows Falls, VT and Walpole, NH. Both are approximately 5’10 and 160 lbs. Anyone who encounters them is urged to contact the Vermont State Police or local authorities immediately. Ovaitte was treated at a nearby hospital for a broken collarbone. She was processed at the Westminster Barracks for Violation of Conditions of Release. She is lodged on $1,000 bail at Southern State Correctional Facility. 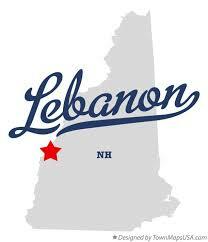 Attorney General Gordon J. MacDonald and Lebanon Police Chief Richard Mello announce that a joint investigation by the New Hampshire Attorney General’s Drug Task Force and the Lebanon Police Department resulted in the arrest of Manuel Castro, age 35, of Newark, New Jersey on December 19, 2017. Detectives from the Drug Task Force, acting on a tip, observed a car in which Mr. Castro was a passenger in parking lot on Heater Road in Lebanon. Uniformed officers from the Lebanon Police Department stopped the vehicle and made contact with Mr. Castro. It was learned during the investigation that Mr. Castro was to carrying 50 bags of heroin in his body. The heroin was subsequently recovered. Mr. Castro was arrested and held on $5,000.00 cash bail at the Grafton County House of Corrections. His arraignment is scheduled for today at 1:30 p.m. at the Grafton County Superior Court. The charges and allegations are merely accusations and the defendant is presumed innocent unless and until proven guilty. Departments and Upper Valley Ambulance. A neighbor and Thetford firefighter noticed a fire on an external wall of a barn and reported the emergency to Hanover Dispatch. This firefighter then responded directly to the scene and knocked the fire down while apparatus and other firefighters were responding to the scene. Upon arrival, Thetford firefighters fully extinguished the fire and completed extensive overhaul to remove any potential hazards. Mutual aid departments were cancelled prior to their arrival on the scene. The horses were removed from the barn prior to the Fire Department arrival by the owner and area neighbors. The cause of the fire was determined to be an electric water heater that malfunctioned in a water bucket. No injuries were reported and while the barn has partial damage to one wall, it is still able to be utilized as intended. This was an excellent outcome and demonstrates the importance of early reporting of emergencies and rapid response by fire personnel. The Hanover Police Department is investigating a hit and run accident that occurred at the crosswalk at Currier Pl and Lebanon St around 1:30 PM yesterday. 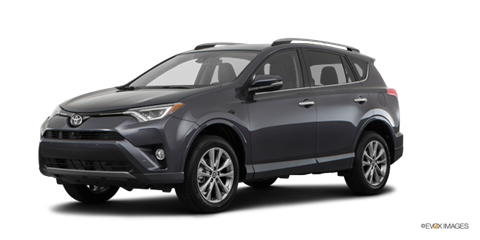 The suspect vehicle is likely a new model dark gray Toyota RAV4 with Vermont plates. The operator was described as a white male in his early 20’s with curly hair. Anyone with information; please call the Hanover Police Department at 603-643-2222. On December 11, 2017, Lebanon Police Department K9 Max succumbed to cancer when he was euthanized after a long and courageous battle. K9 Max, a Belgian Malinois, joined the department in 2007 and was trained by his handler, Officer Jeremy Perkins. K9 Max spent the next ten years in dedicated service to the Lebanon Police Department, the City of Lebanon and our residents. This past year, K9 Max had several surgeries to remove cancerous tumors from his body. 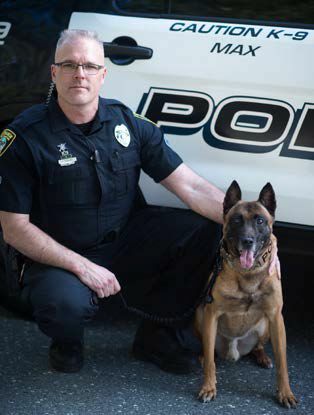 Despite his cancer diagnosis and ongoing treatment, K9 Max continued to work along with Officer Perkins and they were an effective team until the very end. In November, K9 Max underwent a serious and invasive surgery to remove another cancerous tumor. Within a week of that surgery, K9 Max was back on patrol with Officer Perkins continuing to battle and continuing to serve our City. K9 Max spent his last day on patrol with his handler doing his duty, as he did for the last ten years. 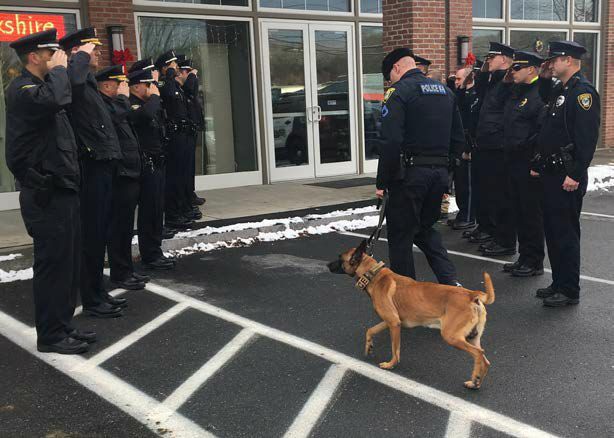 At approximately 1:00PM, K9 Max and Officer Perkins arrived at the Stonecliff Animal Hospital where K9 Max entered the facility through a receiving line of police officers rendering a salute. 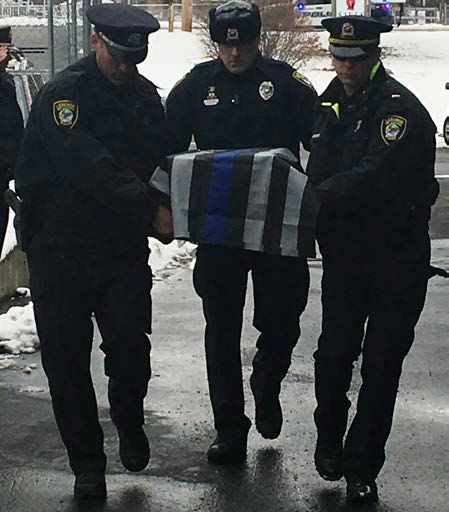 After his passing, K9 Max was given his last radio call before being escorted by Lebanon Police cruisers to SAVES in Lebanon, where he was given one final send off before being cremated.